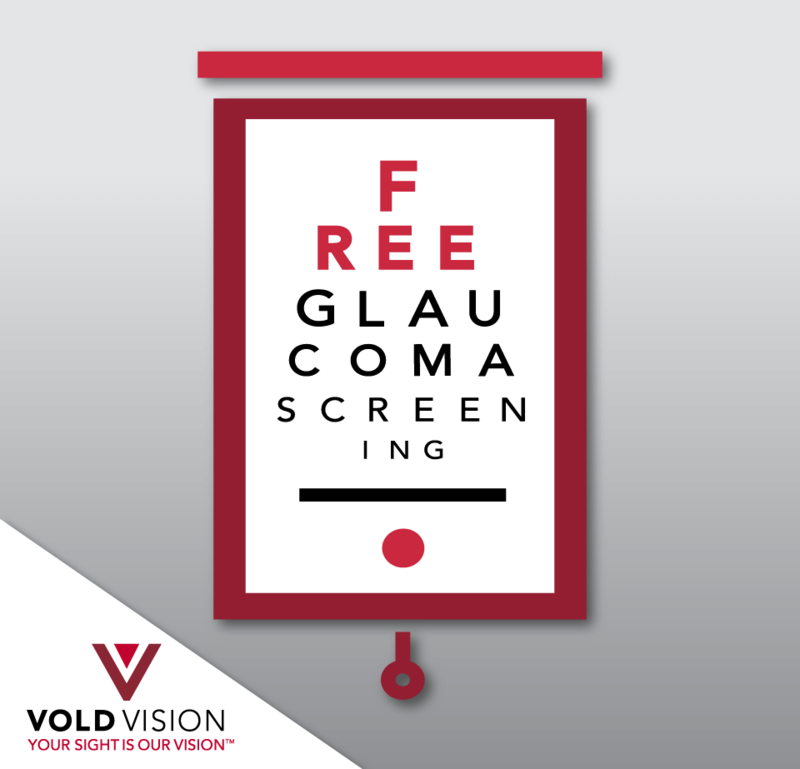 - January is National Glaucoma Awareness Month and Vold Vision is offering free glaucoma screenings to the community. 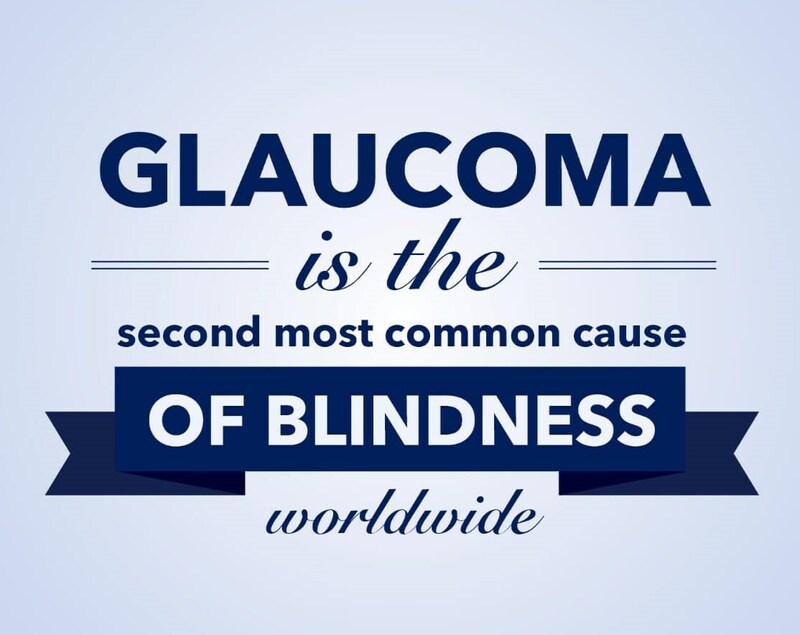 The second leading cause of irreversible blindness, glaucoma is known as the “silent thief of sight,” as there are often no warning signs or symptoms. It is estimated that over 3 million Americans have the chronic eye disease, but only half of those know they have it. Everyone is at risk for glaucoma from babies to senior citizens. Older people are at a higher risk for the disease, along with diabetics, African Americans, Hispanics, severely nearsighted individuals and those with a known family history. Eyes are always producing fluid that provides nourishment essential for normal eye function. As the fluid is produced, it moves throughout the eye and eventually exits to tiny drainage channels located near the front of the eye. If these drainage channels become blocked, the fluid can build up, causing elevated pressure also called intraocular pressure or IOP. This elevated eye pressure can damage the optic nerve and thus cause loss of vision. Vold Vision is offering the free screenings at their Fayetteville Clinic, located at 2783 N. Shiloh Drive, and at their Bentonville / Bella Vista Clinic, located at 1102 Northwest Lowes Ave., Ste. 6. The screening itself will last approximately 15 minutes. Space is limited. To schedule, please call 479-442-8653. January 9th Bentonville 8:00 a.m. to 4:00p.m. January 11th Fayetteville 8:00 a.m. to 4:00p.m. January 16th Bentonville 8:00 a.m. to 4:00p.m. January 18th Fayetteville 8:00 a.m. to 4:00p.m. Q) How long will the screening last? A) The screening itself will take 15 minutes. Q) How long should I plan on being there? A) It’s hard to give an exact time, but we promise our goal is to get everyone in as quickly as possible to see the doctor. Q) What type of tests will be conducted? A) It’s called an OCT test, where you just look at a light while we take an image of your eye. It is painless, and your eyes do not have to be dilated. The doctor looking into your eye with a magnifying glass type of instrument. The test are easy and fast. Q) Is there any cost at all? A) Zero cost, this is something we are doing as a service to our community. Q) Will I know the results after the test? A) Yes, we will have someone who sits down and goes over the results with you. Q) Who do you recommend be screened? A) Everyone is at risk for glaucoma from babies to senior citizens. Older people are at a higher risk for the disease, along with diabetics, African Americans, Hispanics, severely nearsighted individuals and those with a known family history. Q) I am a current patient at Vold Vision, should I be screened? A) We screen all of our patients for glaucoma during their exams, so this event wouldn’t really be needed for you. However, I can make you an appointment, if it’s time for your annual eye exam. Would you like me to do that? Q) Will I talk with a doctor during the screening? A). Yes, you will. One of our doctors will participate in each screening. Vold Vision is a comprehensive eye care facility with the most advanced medical, laser and surgical care available. As a FDA clinical research study facility, Vold is invested in pioneering new procedures for optical patients and is on the front lines pushing for best in class care. Its state-of-the-art ambulatory surgery center, received Joint Commission credentialing, and Dr. Steven Vold has been recognized in the Consumers Research Council of America’s Guide to America’s Top Ophthalmologists every year since 2002. Vold Vision is the official eyecare provider of Arkansas Razorback Athletics and the Northwest Arkansas Naturals. For more information or to schedule your consultation, contact Vold Vision in the link below.